I have an EFT animal tale which I thought might interest you. 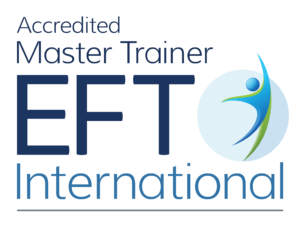 It’s a tale of EFT failing to do what it was intended for, but with great results! One of my cats, Hamish, is twenty years old. He has kidney problems and is on special diet and medication. He had been failing for a few weeks and I’d made it clear to the vet that I wanted to have him put to sleep if his quality of life deteriorated badly. The vet very kindly gave me sedation that I could administer if he became really unwell and the surgery was closed. He said that one tablet would be enough and gave me two in case it was difficult to get him to swallow. Sure enough, Hamish chose a bank holiday to become sick, I’d have had to drive him twenty miles to the vet and he looked too unwell to travel all that way. So I called the vet, described the symptoms, and was told, yes he looked as if he was on the way out. Sedate him, make him comfortable, and he should go quietly in his sleep. So I gave him the tablets (a double dose to make sure he didn’t wake up in pain), and put him in his favourite place, on top of the boiler. I sat and talked to him, and realised that unconsciously, I was tapping as I talked. More for myself and my own distress than anything else. And more of the same. I had been pretty upset when I started talking and tapping, but as I continued, a feeling of great peace came over me, and I felt lots of love for this little cat who had been part of my life for so long. Hamish was sound asleep by now and I left him, looking in on him every so often to make sure he was ok. About two hours later his pulse was barely discernable. Again I tapped on the “great cat”… affirmations, and decided to get stuck into some work to take my mind off what was happening. Two hours later, I heard a wailing noise coming from the boiler room. I rushed in, there was Hamish waiting impatiently to be let out. His legs were a bit wobbly, but he asked for food and managed to consume a whole haddock ! By the evening he looked better than he’d done for weeks. That was several months ago. he is fine, much to the annoyance of the local mouse population. I guess that the affirmations and the tapping, maybe combined with the feelings of love and peace that were coming from me to him, achieved a different result from the one I had intended…..